Tip 1: Everything starts from the purpose of your assessment. Define this clearly and document it well. A purpose that is not well defined or that does not align with the needs of your organization will result in a poor test. It is useful to have a formal process to kick off a new assessment to ensure the purpose is defined clearly and is aligned with business needs. 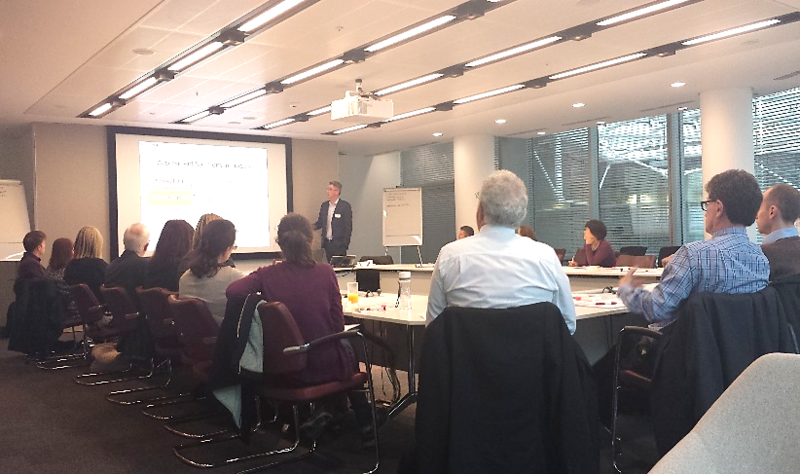 Tip 2: A Job Task Analysis survey is a great way of defining the topics/objectives for new-hire training assessments. One presenter at the conference sent out a survey to the top performing 50 percent of employees in a job role and asked questions on a series of potential job tasks. For each job task, he asked how difficult it is (complexity), how important it is (priority) and how often it is done (frequency). He then used the survey results to define the structure of knowledge assessments for new hires to ensure they aligned with needed job skills. Tip 3: The best way to ensure that a workplace assessment starts and remains valid is continual involvement with Subject Matter Experts (SMEs). They help you ensure that the content of the assessment matches the content needed for the job and ensure this stays the case as the job changes. It’s worth investing in training your SMEs in item writing and item review. Foster a collaborative environment and build their confidence. Tip 4: Allow your participants (test-takers) to feed back into the process. This will give you useful feedback to improve the questions and the validity of the assessment. It’s also an important part of being transparent and open in your assessment programme, which is useful because people are less likely to cheat if they feel that the process is well-intentioned. They are also less likely to complain about the results being unfair. For example it’s useful to write an internal blog explaining why and how you create the assessments and encourage feedback. Tip 5: As the item bank grows and as your assessment programme becomes more successful, make sure to manage the item bank and review items. Retire items that are no longer relevant or when they have been overexposed. This keeps the item bank useful, accurate and valid. 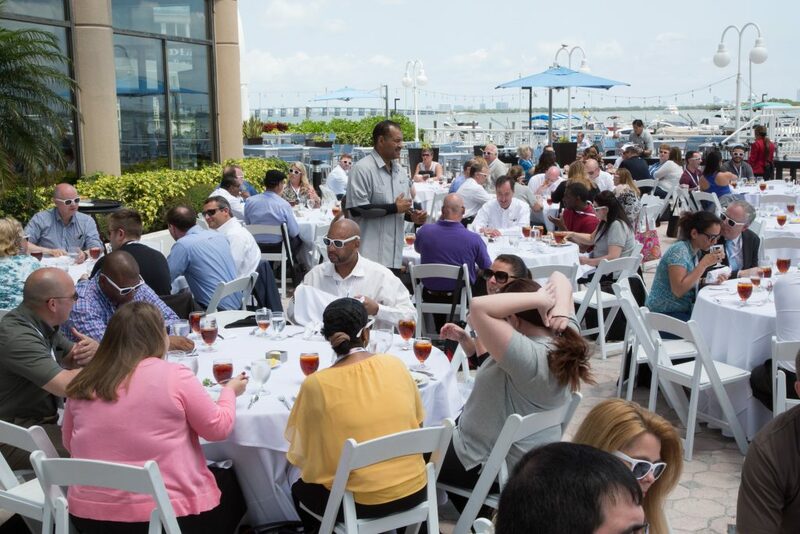 There was lots more at the conference – excitement that Questionmark NextGen authoring is finally here, a live demo of our new easy to use Printing and Scanning solution … and having lunch on the hotel terrace in the beautiful Miami spring sunshine – with Questionmark branded sunglasses to keep cool. There was a lot of buzz at the conference about documenting your assessment decisions and making sure your assessments validly measure job competence. There is increasing understanding that assessment is a process not a project, and also that to be used to measure competence or to select for a job role, an assessment must cover all important job tasks. I hope these tips on making assessments valid are helpful. 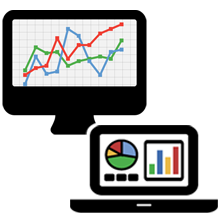 Click here for more information on Questionmark’s assessment management system. 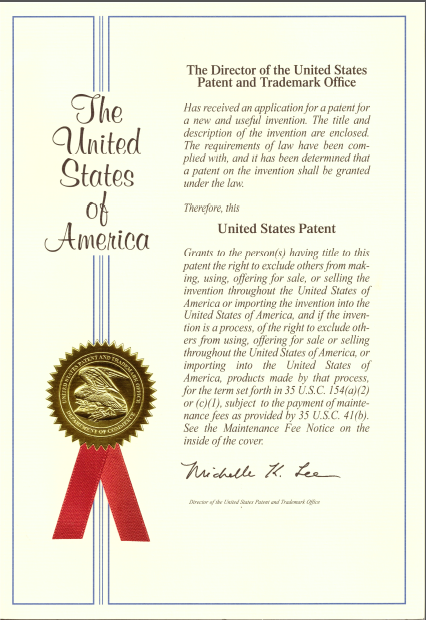 I’m pleased to let you know that Questionmark has been granted a US patent for one of our innovations in our secure browser, Questionmark Secure. 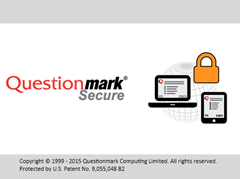 Questionmark was one of the pioneers in secure browsers. A secure or lock-down browser is designed to help organizations provide a secure environment in which to deliver higher stakes assessments such as tests and exams. It helps prevent cheating in an assessment by disabling functions that participants could use to print or copy exam material, “accidentally” exiting a test, or gaining access to materials on their computers or the Internet that could give an unfair advantage. Our first secure browser called Perception Secure Browser was produced in 1999 – you can see the press release here. This browser, like many current secure browsers, was started up to run a specific test. But many of our customers requested something slightly different – they wanted a participant to be able to use an ordinary web browser to participate in learning courses, navigate through registration screens and/or use a learning management system, and have the secure browser launched automatically once the assessment starts. This would allow the participant to use standard browser capabilities whilst learning or registering – but when security becomes important, have the secure browser take over. Then when the assessment is over, the participant can revert to the normal browser. This required some clever technical work to make happen, but in 2003, we introduced a new secure browser called Questionmark Secure which did exactly this (you can see the press release here). A participant can use a normal browser to navigate through learning or registration screens, and when they reach the secure assessment, Questionmark Secure takes over to make the assessment process secure. Our current Questionmark Secure product, though hugely improved over the 2003 version (!) uses the same concept – originally invented by Eric Shepherd, Paul Roberts and myself. 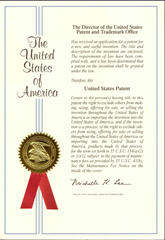 For Questionmark customers, this patent helps reinforce Questionmark’s role as a leader in computerized assessment. 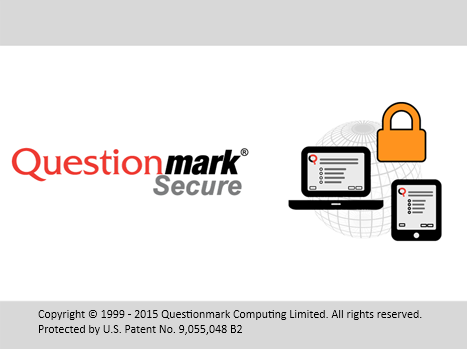 For more information on Questionmark Secure, see https://www.questionmark.com/content/questionmark-secure. A key to SAP’s success is ensuring that the professional learning path of skilled SAP practitioners is continually supported – thereby making qualified experts on their cloud solutions readily available to customers, partners and consultants. The move to the cloud required some fundamental changes to SAP’s existing certification program. What challenges did they face? What technologies are they using to ensure the security of the program? Join us on the 21st of October for a breakfast briefing in London, where Ralf Kirchgaessner, Manager of Global Certification at SAP, will discuss the answers to these questions. Ralf will tell how the SAP team planned for the program, explain its benefits and share lessons learned. 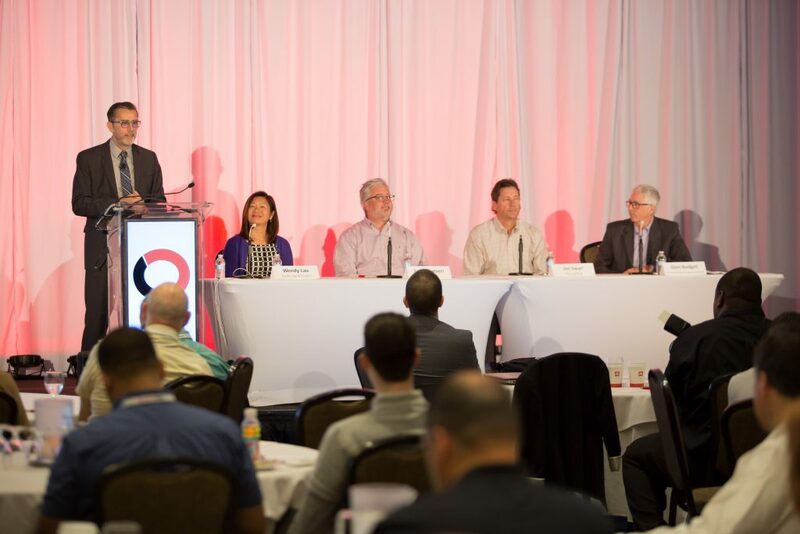 The briefing will include a best-practice seminar on the types of technologies and techniques to consider using as part of your assessment program to securely create, deliver and report on high-stakes tests around the world. It will highlight technologies such as online invigilation, secure browsers and item banking tools that alleviate the testing centre burden and allow organisations and test publishers to securely administer trustable tests and exams and protect valuable assessment content. You can expect a morning of networking, best practice tips and live demonstrations of the newest assessment technologies.The event will include a complimentary breakfast at 8:45 a.m. followed by presentations and discussions until about 12:30 p.m. These gatherings are ideal for people involved in certification, compliance and/or risk management, and learning and development. This is the third and last post in my “Agree or disagree” series on writing effective attitude surveys. In the first post I explained the process survey participants go through when answering questions and the concept of satisficing – where some participants give what they think is a satisfactory answer rather than stretching themselves to give the best answer. In the second post I shared these five tips based on research evidence on question and survey design. Get a peer or expert to review the survey. 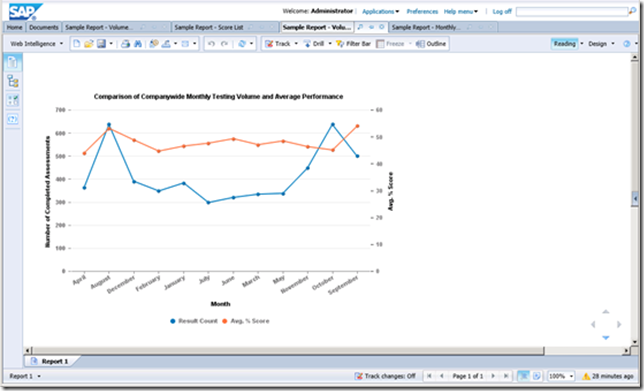 Pre-test with participants and measuring the response time for each question (shown in some Questionmark reports). A longer response time could be connected with a more confusing question. Allow participants to provide comments on questions they think they are confusing. Follow up with your pretesting group by asking them why they gave particular answers or asking them what they thought you meant by your questions. Ensure that you communicate the goal of the survey and make participants feel that filling it in usefully will be a benefit to something they believe in or value. Including a “don’t know” option usually does not improve the accuracy of your survey. In most cases it reduces it. To those of us used to the precision of testing and assessment, this is surprising. Part of the reason is that providing a “don’t know” or “no opinion” option allows participants to disengage from your survey and so diminishes useful responses. Also, people are better at guessing or estimating than they think they are, so they will tend to choose an appropriate answer if they do not have an option of “don’t know”. See this paper by Mondak and Davis, which illustrates this in the political field. The further back in time they are asked to remember, the less accurately participants will answer your questions. We all have a tendency to “telescope” the timing of events and imagine that things happened earlier or later than they did. If you can, ask about the last week or the last month, not about the last year or further back. Error can creep into survey results in many ways. Participants can misunderstand the question. They can fail to recall the right information. Their judgement can be influenced by social pressures. And they are limited by the choices available. But if you use the same questions over time with a similar population, you can be pretty sure that changes over time are meaningful. For example, if you deliver an employee attitude survey with the same questions for two years running, then changes in the results to a question (if statistically significant) probably mean a change in employee attitudes. If you can use the same or similar questions over time and can identify trends or changes in results, such data can be very trustworthy. I hope you’ve found this series of articles useful. For more information on how Questionmark can help you create, deliver and report on surveys, see www.questionmark.com. I’ll also be presenting at Questionmark’s 2016 Conference: Shaping the Future of Assessment in Miami April 12-15. Check out the conference page for more information.